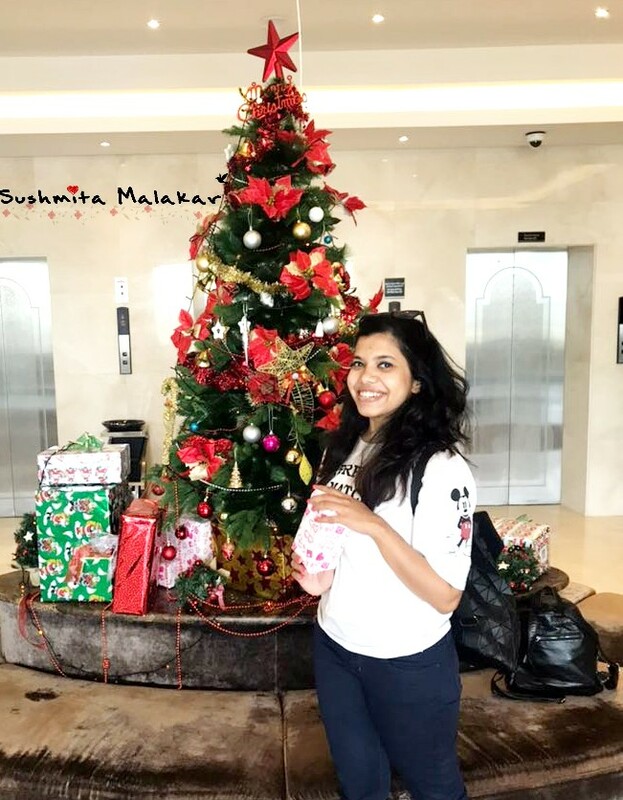 The first travelogue of this year is as exciting as the trip itself. 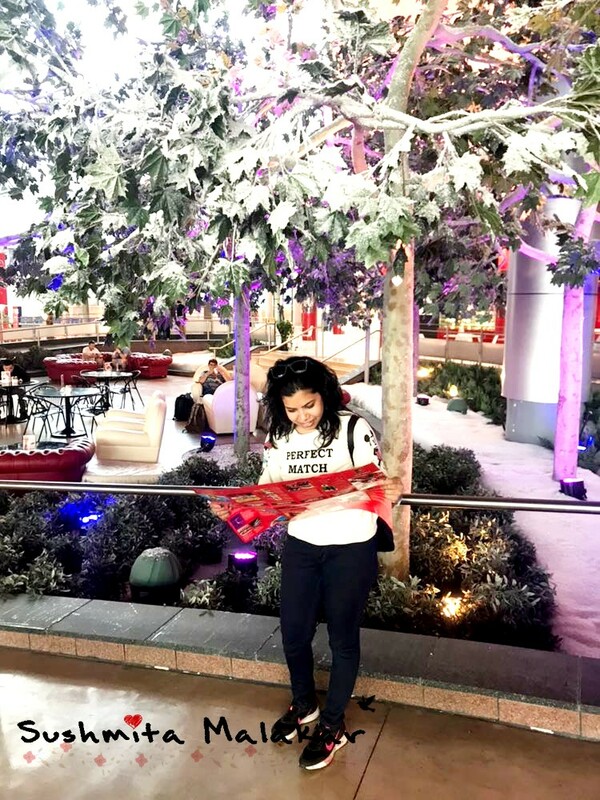 My recent trip to UAE was not one of most planned holidays of mine and thus I couldn't really cover all of the places that I had in mind. Having said that, I don't mean that I did not have fun. This trip was one of the most impromptu trips and I don't regret any part of it. Like almost everyone who is not a travel enthusiast like me, UAE must not be very fascinating. I too had my own assumptions about this being a man-made land and not really having something very eye-catching. Man, this place certainly proved me wrong. Dubai is as man-made as it can get but it is super fascinating. So is the rest of the cities in UAE. Abu Dhabi is a super peaceful city. And it has amazing places for people with different ideas of chilling. 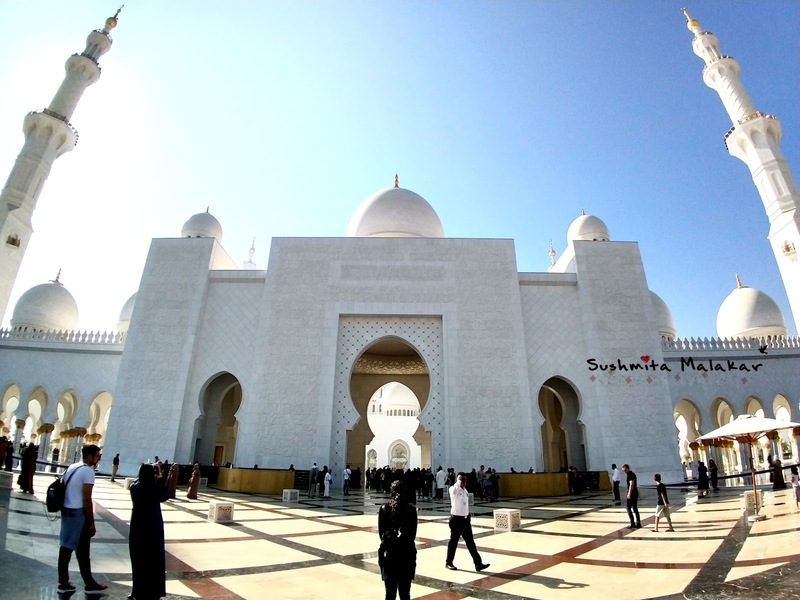 But before describing anything, let me quickly give you some travel tips to Abu Dhabi. Please check the Ramadan time before planning your visit as during this time the business hours are shorter and the place is quieter. You might end up missing on to some good places. Abu Dhabi is pretty conservative - so mind your behaviour here. This place is very law-abiding and trust me, as a tourist you would really want to respect that and not create any nuisance. Publically, be very careful - no public display of affection, no public drinking or creating any havoc. Sunglasses and sunscreens are musts during the day. A light shawl or jacket is a must during the nights as it gets breezy and cold at night. Install the Careem or Uber app to go from one place to another. This is the best way of moving around in Abu Dhabi, though not a very cheap option. Also, install the Klook app to buy the tickets of the various tourist attractions at very discounted rates. I did the same and I saved a lot! Abu Dhabi is being developed more. And it might be just the second Dubai - because Dubai has now become saturated. Anyhow, my adventure in Abu Dhabi began the night I landed there. 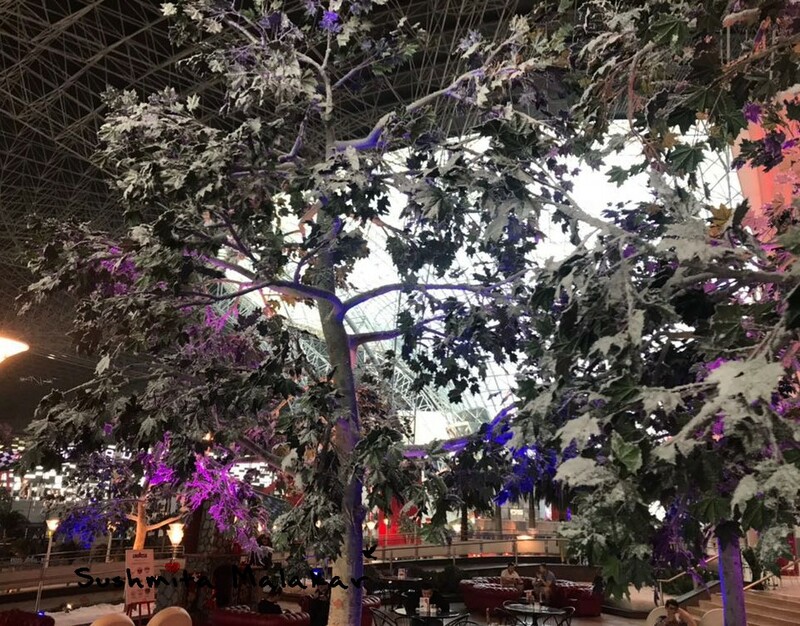 Just a tip, you can fly to Abu Dhabi instead of Dubai - the airport is comparatively less crowded and all your formalities are completed quickly. 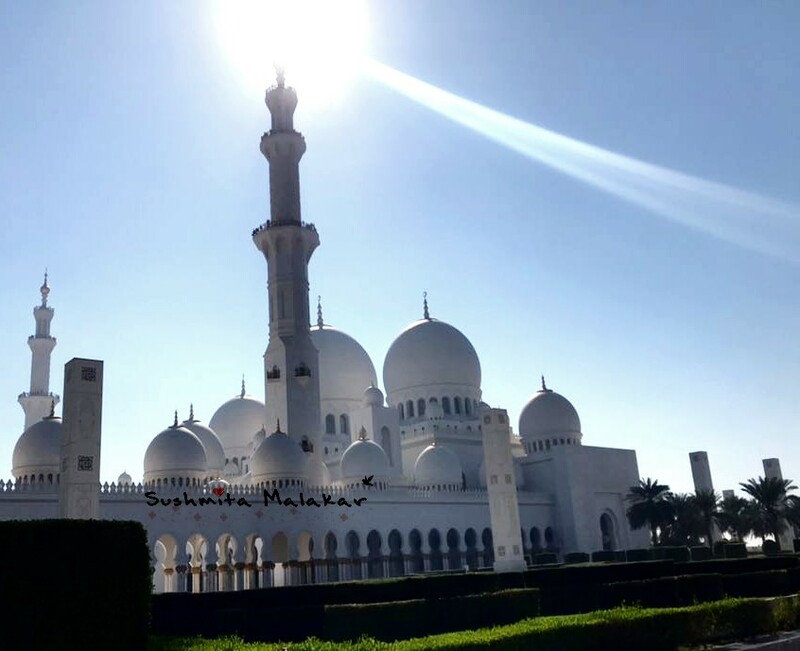 Abu Dhabi is a home to almost everything - quiet beaches, wonderful experiences at the theme and water parks, museums to die for and the quaint mosques. 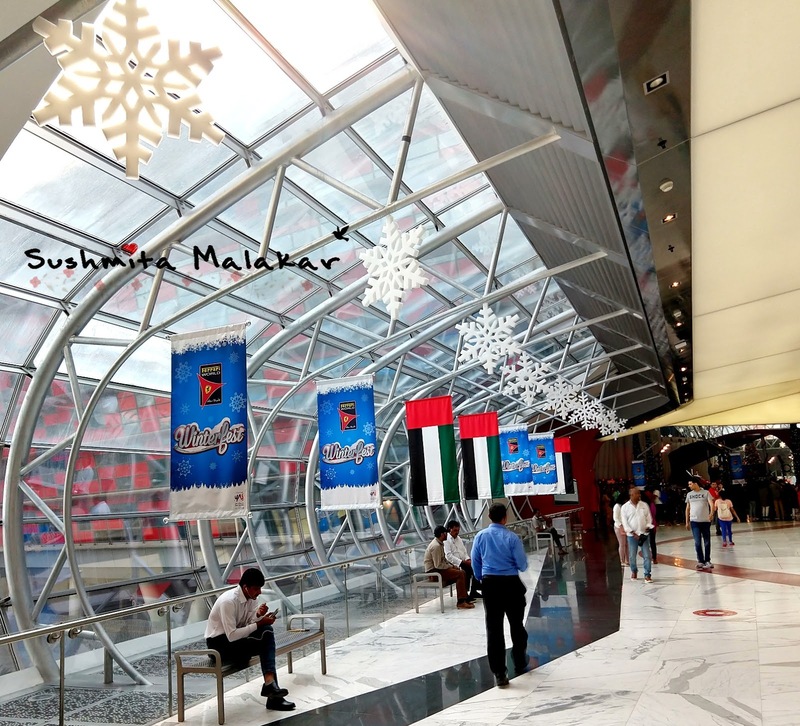 Not to mention, Abu Dhabi also has its own share of malls, if you enjoy shopping - just like Dubai and it also participates in the Dubai Shopping Festival! I was staying at the Corniche, which is the public beach of Abu Dabi. It is a great feeling t drive along the beaches here. and there are cycle paths developed along the beach. I am not glad that I missed doing that but that is one of the reasons that why I would be visiting UAE again. 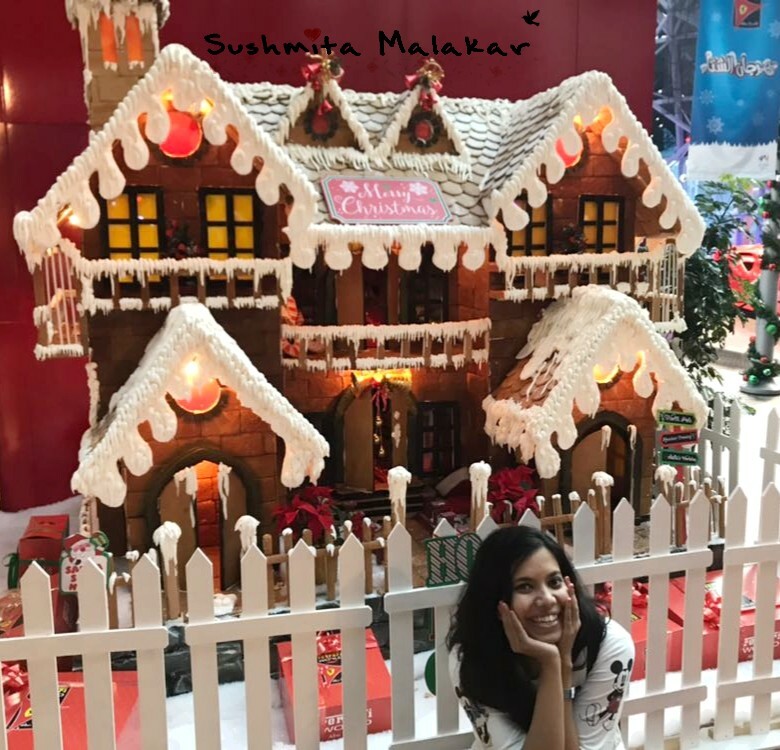 The pretty Christmas decoration made sure to remind me that I was on a "holiday"! I was in Abu Dhabi for roughly 40 hours. Yes, I had a tight schedule here. But I loved it more than Dubai, where I spent almost 6 days! 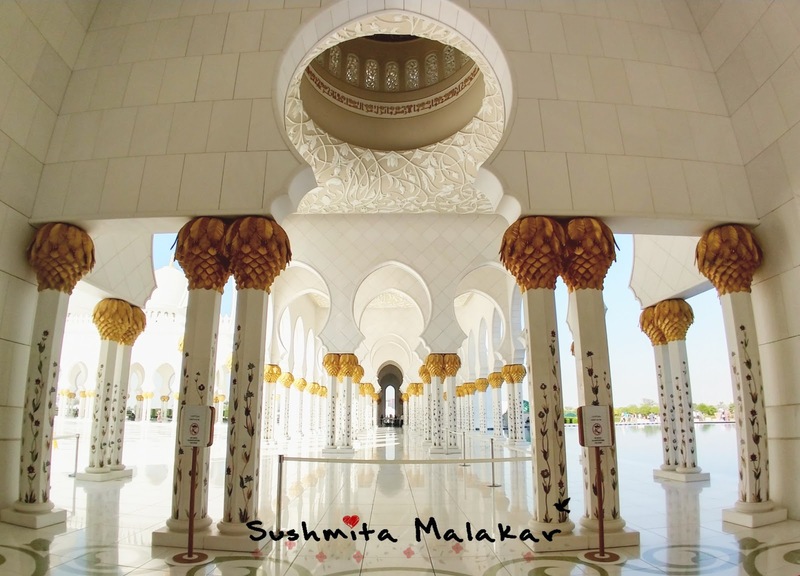 I went to three major places - The Ferrari World, The Louvre and of course, the Grand Mosque. 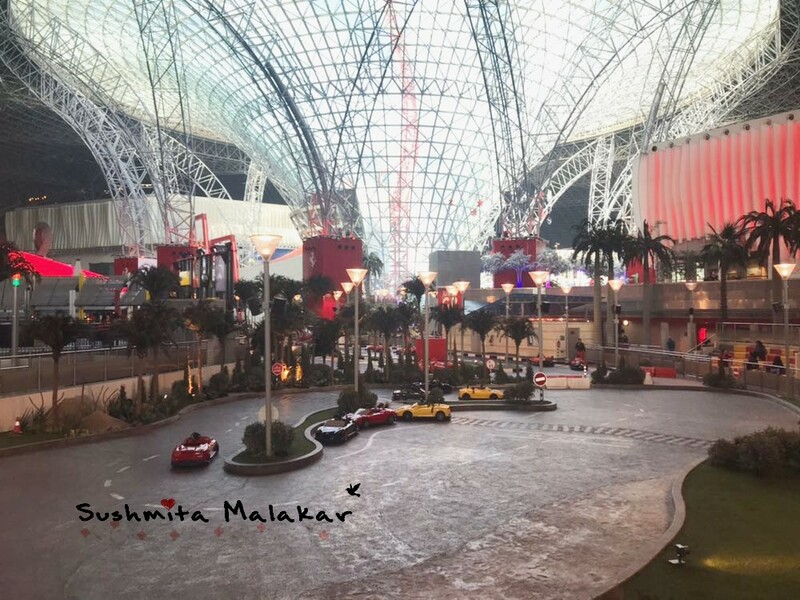 Ferrari World is made of the childhood dreams. 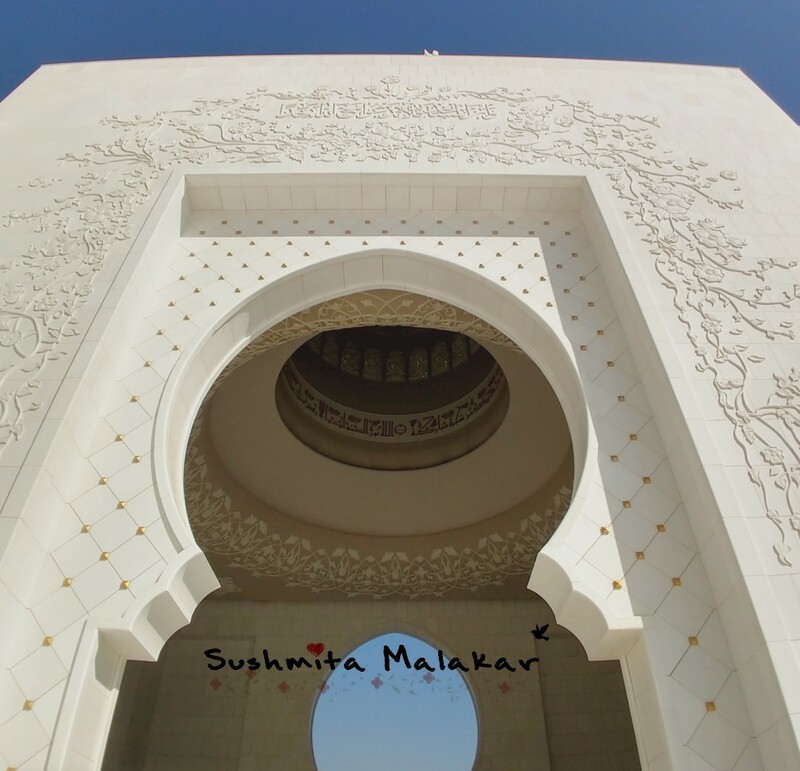 It is located on the Yas Island which is roughly 30 KM from the corniche. The cab cost around 80 DHS that is roughly INR1600. 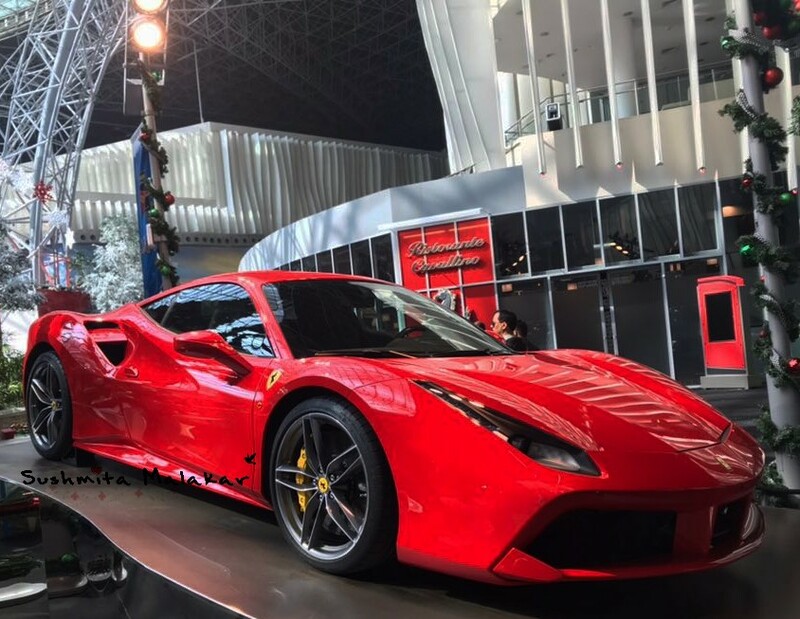 I would suggest that you reach the Ferrari World in the morning - that is 11 AM and maximize the number of rides you want to try. Alos, don't have a heavy breakfast. If you reach at 11 AM, you should be free by 6PM. And trust me, you will be so tired by then that probably all you want to do is just sit and relax. 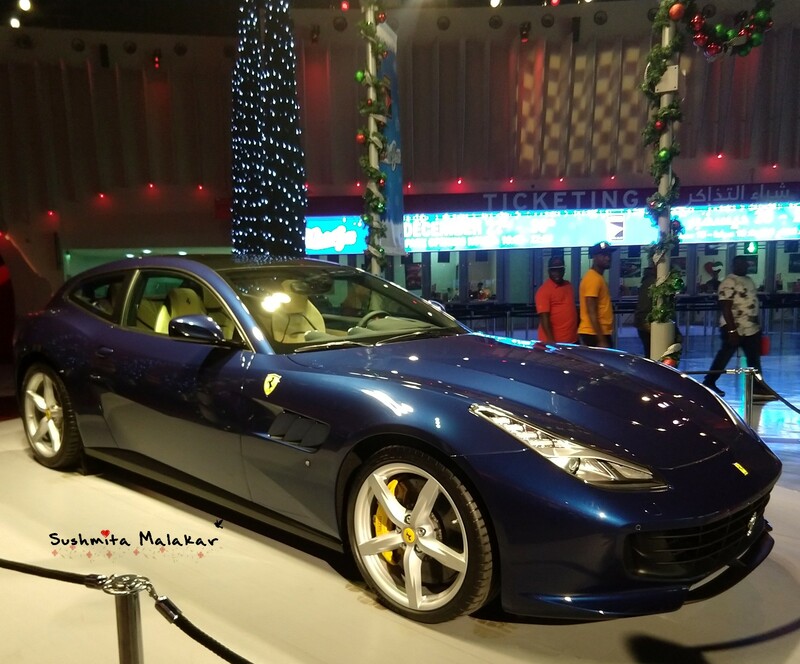 As soon as you enter, you will see so many exhibits of the various Ferrari cars. 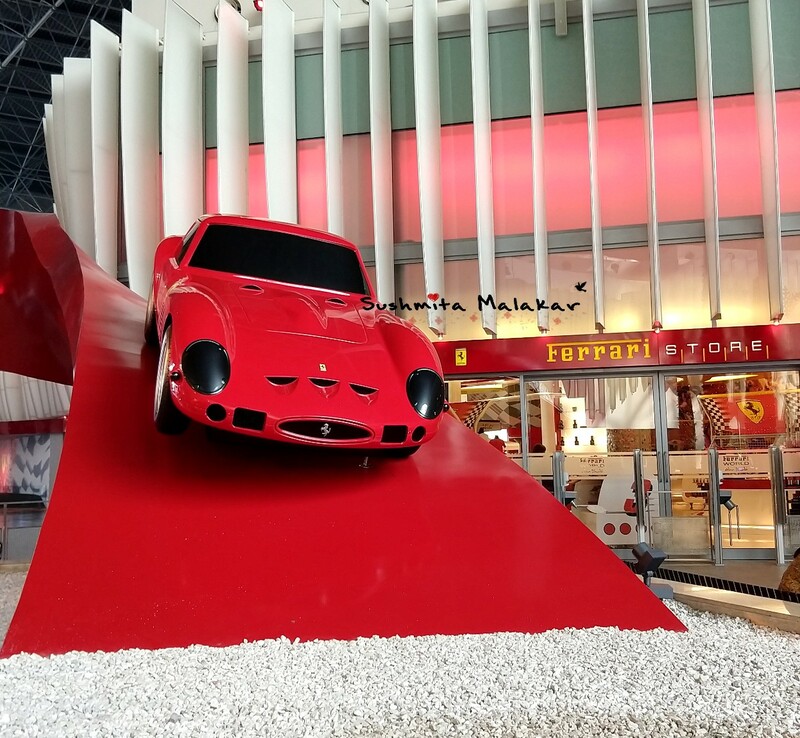 Ferrari World is all about roller coasters and various other activities related to Ferrari racing and driving. I had an amazing time. 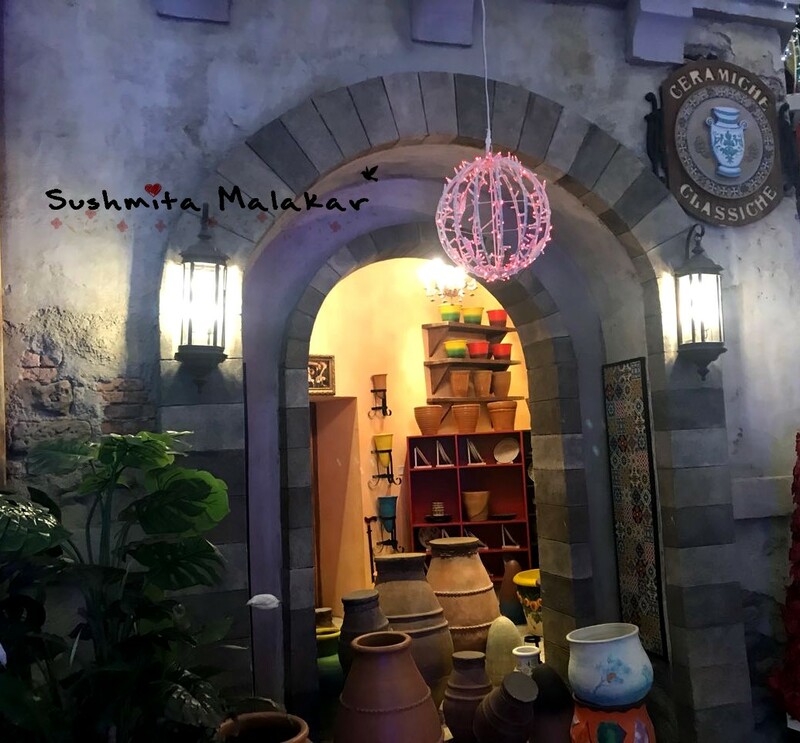 It was like I was teleported to my childhood and I was at a different high altogether! Yes, a luxury car has been my childhood dream too! 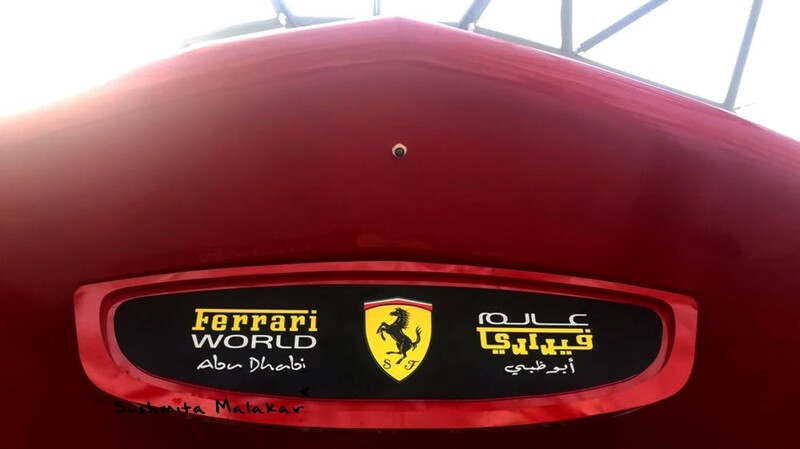 The entry ticket for Ferrari World is 195 DHS(INR 3900) for a single day. If you are not weak hearted, you have to go the 3 most amazing and fun rides of this place. 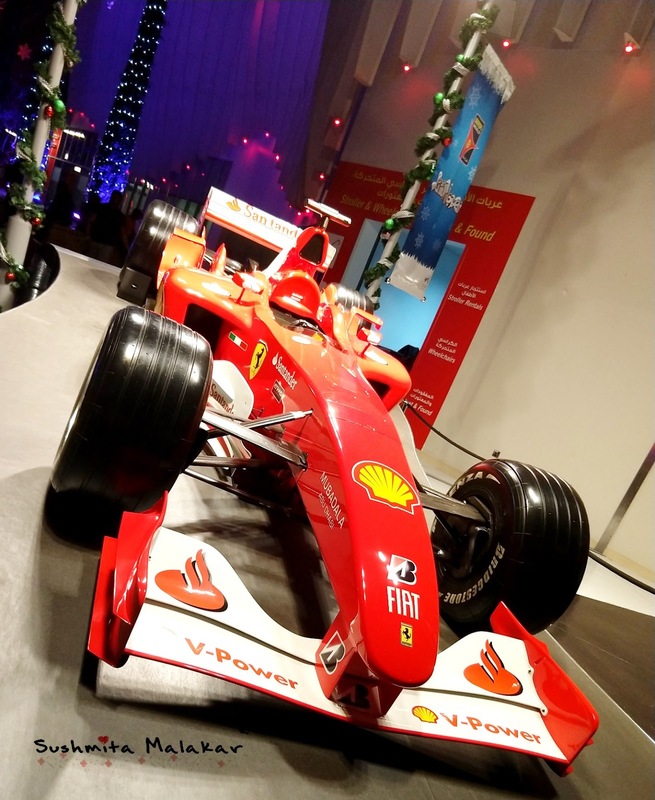 Speed, race and twists and turns - if these things excite you then you will not regret going to Ferrari World at all. 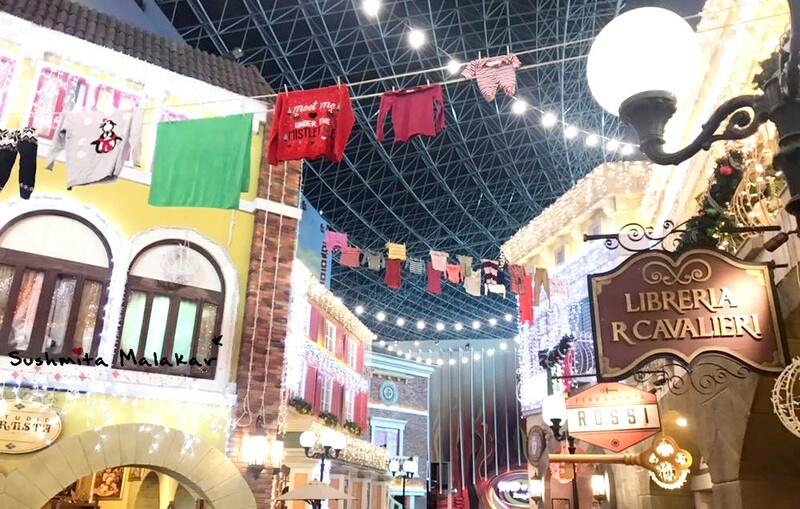 Take the Ferrari World map and explore according to what you wish. This is the best way to optimize your trip! One of the better things about this theme park is that it is covered. 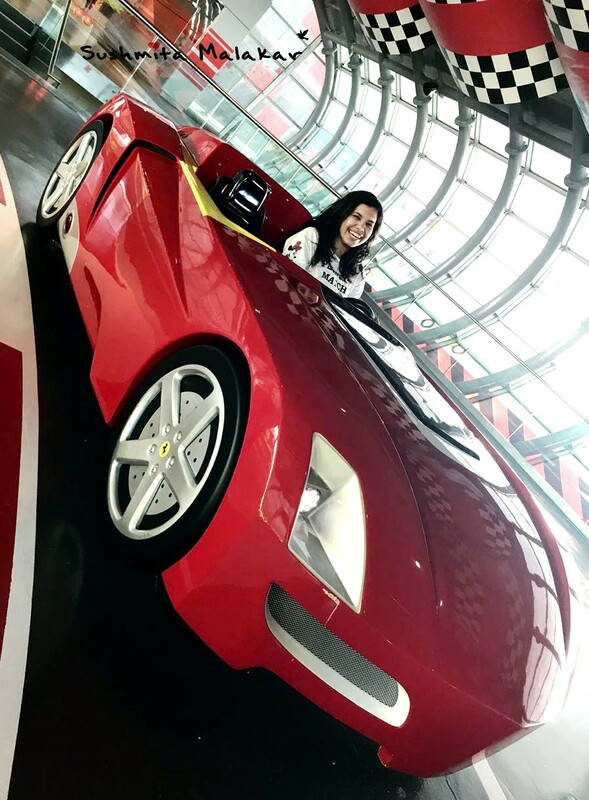 Unlike the Universal Studios and Disneyland, even if you are travelling to Abu Dhabi during the not so pleasant months, at least the Ferrari World is something you can still enjoy! 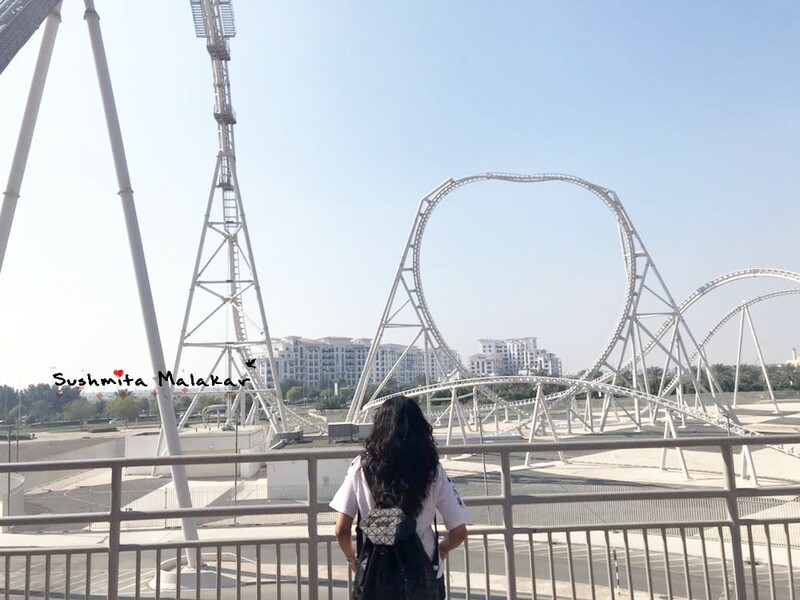 I read about the Ferrari world after I visited there and that is what I would suggest to everyone. They scare you. 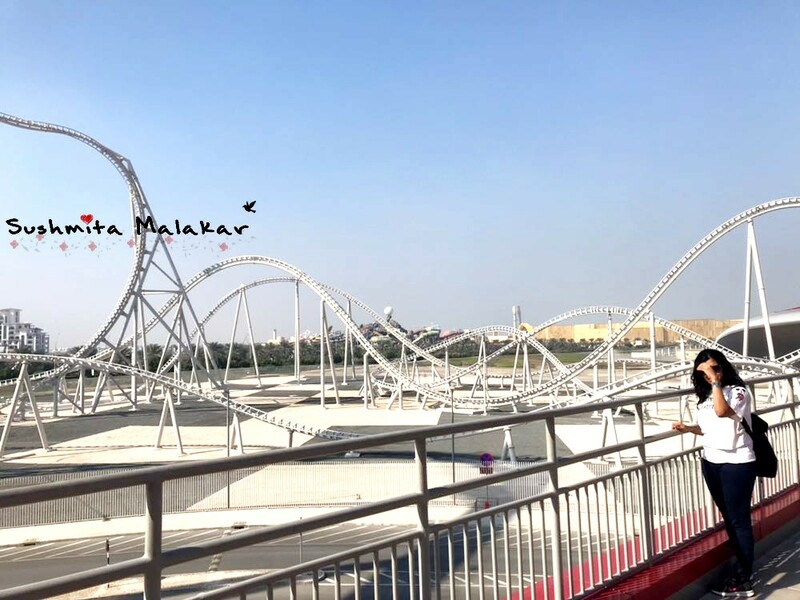 Formula Rossa is the fastest rollercoaster in the world. 240kmph - imagine. We had bought a silver ticket - which meant that I can go to the fast lane for any three rides. Since I had reached very early, there were not huge queues for any rides. 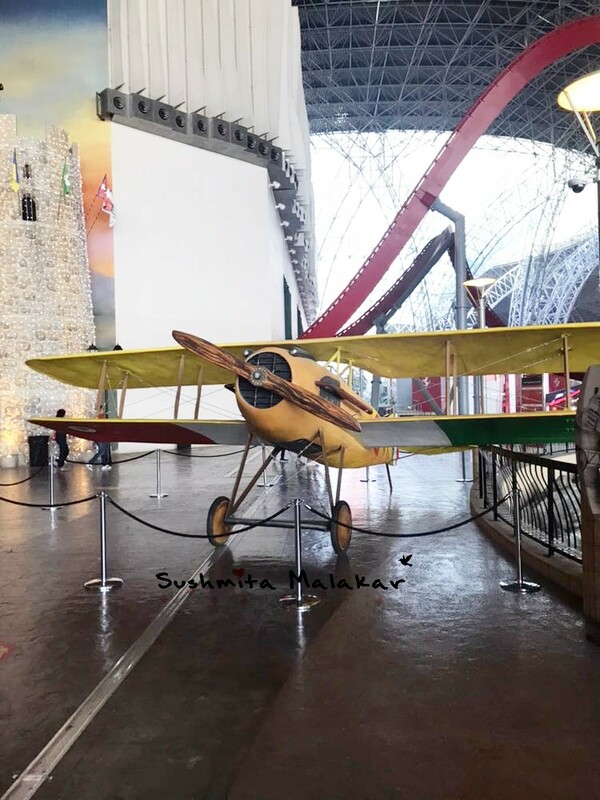 The best part about this place is that you have to observation decks so that you can see the adventurous rides so that your decision is well informed that what you are signing for. 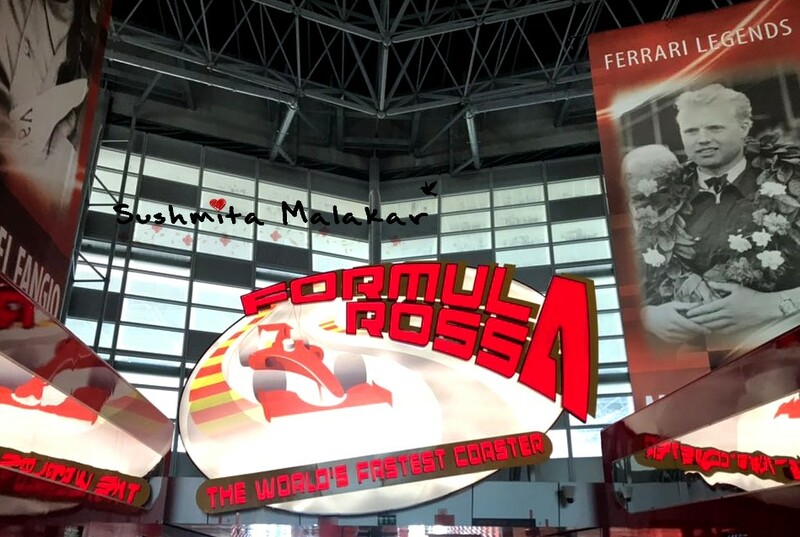 So yes, Formula Rossa. There was already a big queue with a waiting time of almost 20 minutes. We decided to use our first silver ticket. We were given glasses to wear. I still did not quite anticipate that what I was going to face. I had not visited the observation deck. But yes, I did visit the observation deck afterwards, to see what I just did! And yes, it was scary AF. I stepped on the ride, fastened my seat belt and put on my goggles. In just a second, I felt I was being thrown forward with the speed of light. I could just scream. I could feel the wind like I have never felt before. I had closed my eyes out of fear. I knew somehow that my gut might just come out. But the whole ordeal lasted for just 1 minutes and 30 seconds. I was shivering but I had the best experience of my life. And that is it - I was all pumped up to explore the rest of the theme park. Then there was the Turbo Track, which has a duration of hardly 5 seconds but is the highest point of the Yas Island. The amazing ride made my day. Eventually, we went to the second big ride called the Flying Aces and it is my favourite ride now. It is the highest loop in the world. The Flying Aces is full of so many twists and turns. I was not scared, I observed it and made my sane decision. No matter how tough the decision is, a back-shot is a must! Look at those twists and turns! It doesn't look like a fast ride. However, it is. I didn't close my eyes during the entire ride of almost 3 minutes. That is the victory look, my friends. Please don't judge! The Fiorano GT Challenge is the next adult ride which needs your courage. It has neither speed or height but still, it is as adventurous. It has two parallel tracks with loads of twists and turns and you will always fear to collide with the train on the other track! This is the view from the observation deck. I was too exhausted to click more pictures as this was my last lap in the Ferrari World. There are then other fun rides if you are with kids. Or even without them. Well, I enjoyed those rides. There is this 4D simulation ride called the Speed of Magic and I must have been the happiest rider of the ride. This is outside some baby ride. I just loved the props. Usually, there are different shows taking place. Then there are scheduled shows like the Cinema Maranello talking about the history of Ferrari in a very interactive way. 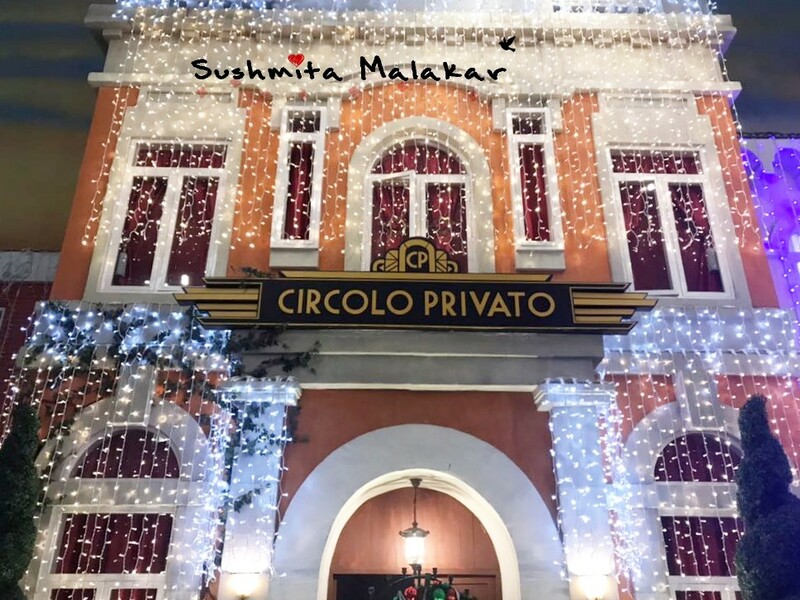 I was there during the Christmas time, so there were some beautiful theme decorations and performances. 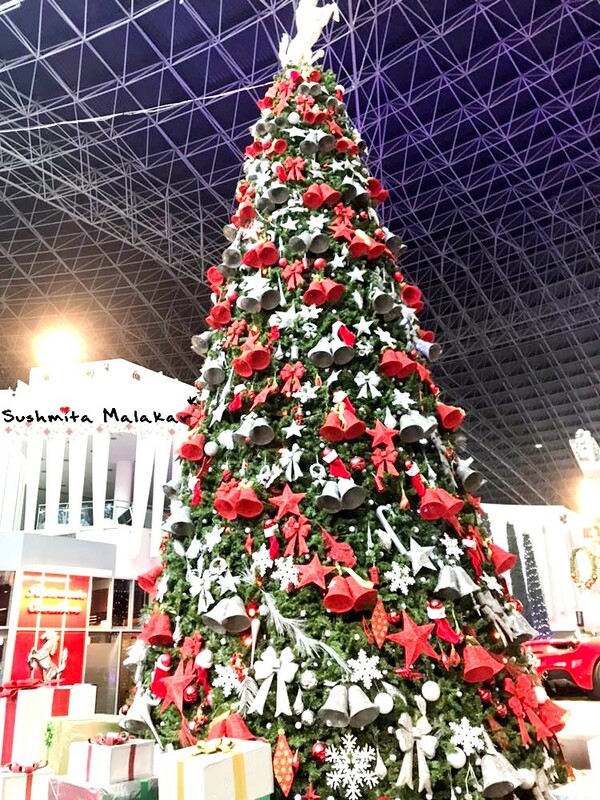 One of the largest Christmas trees I have seen! 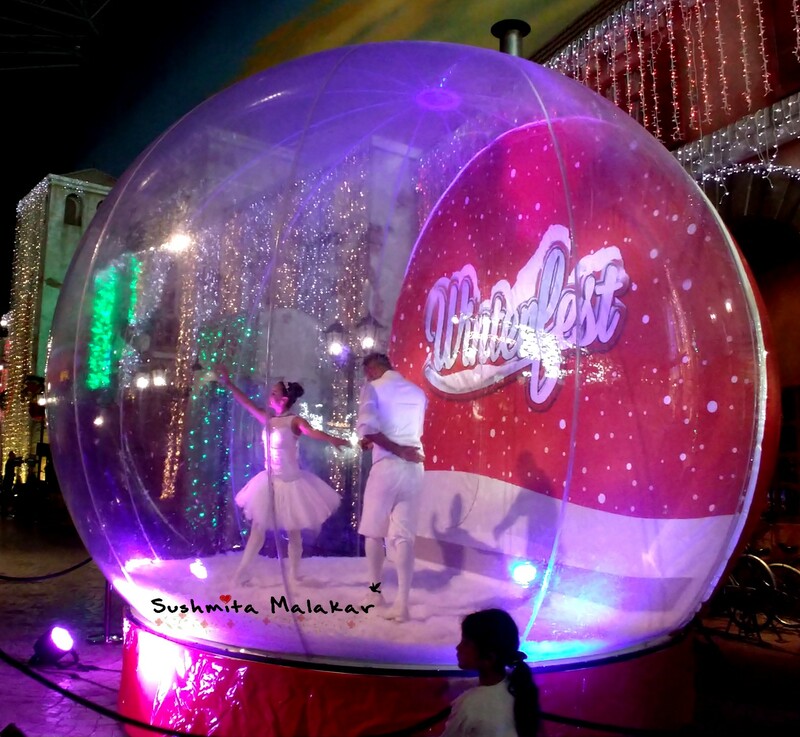 The WinterFest, that is what the seasonal festival is called here! Also, there was the seasonal skiing park opened during this time. Also, there were some beautiful European street decorations being done. Because fake libraries call for fake poses! Apart from these, there are many experiences which are of additional charges (justified!). You can drive around in the Yas Island in a Ferrari. You need an international driving permit for that. And also some 700 DHS to spare. 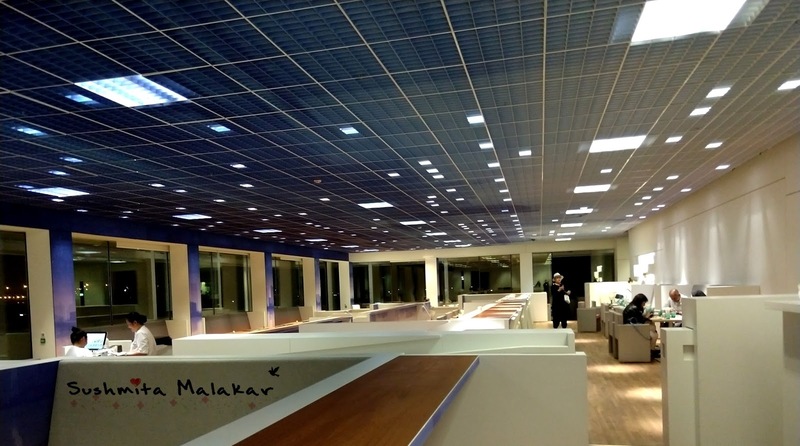 For all those, who are avid collectors, there is a Ferrari store in the premises as well. After completing the major rides, we had some really good food at Officer's Foodquarters. It was followed by some more exploration of the place. 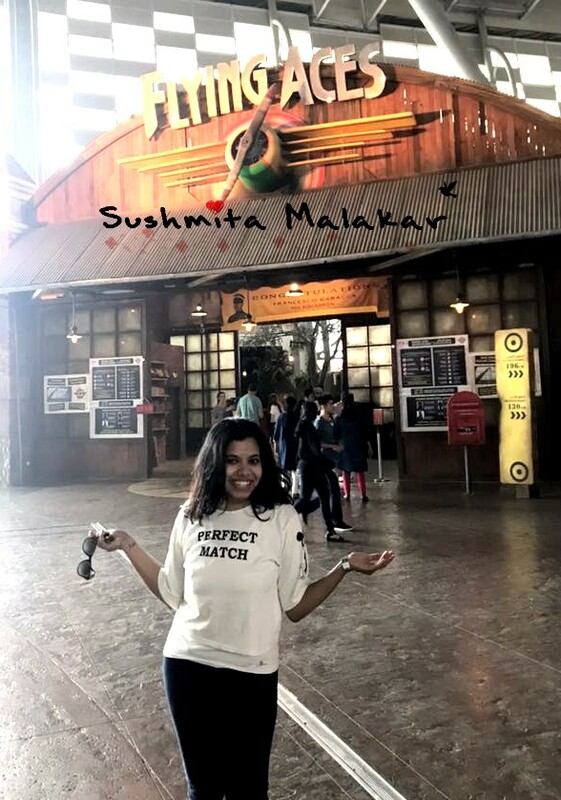 I have never felt happier in my life after going to some theme park. That retarded smile! Or rather, laughter. The next place I visited in Abu Dhabi was the Louvre. That is how it looks from the outside. And I was just flabbergasted. Maybe that is an understatement. I don't know what I will do when I go to the Louvre, Paris. 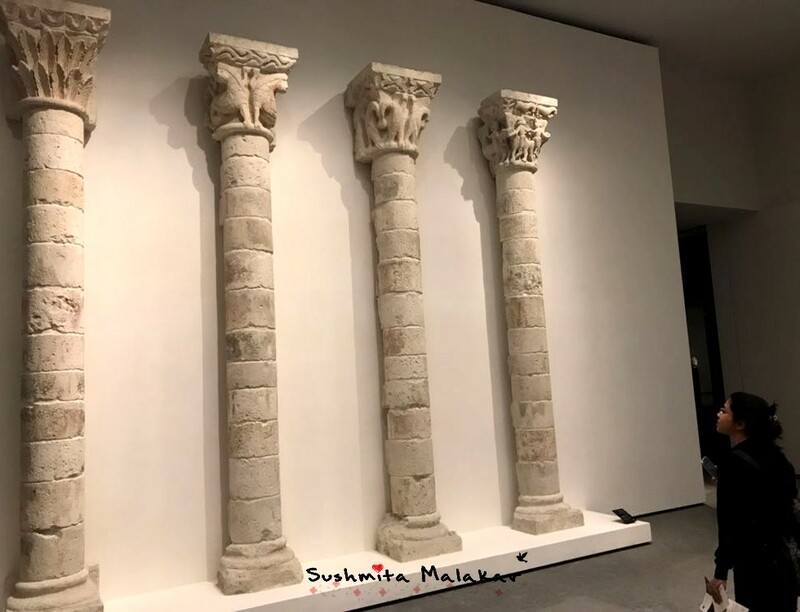 Pillars from the early villages - Gallery 1. All the way from Paris! 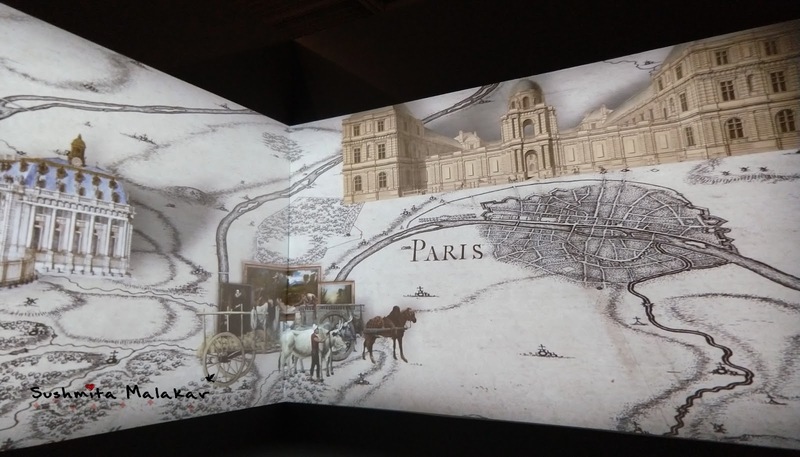 This is the small audiovisual, which talked about the journey of Louvre from Pris and then to Abu Dhabi. Once you start exploring the museum, you will realize that you are living in the old history books and that everything has just come to life. The feeling is so amazing! Remember seeing one of these in the history textbooks? 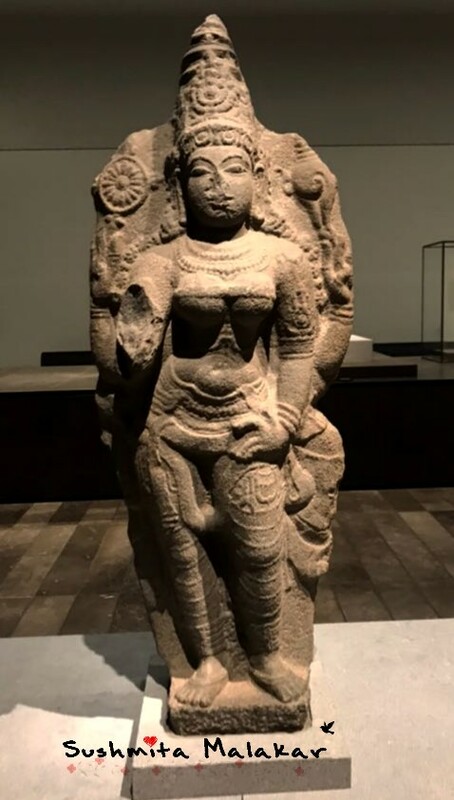 From the ancient historic times to the modern contemporary world to the history of the world religions, Louvre has the everything beautiful which connects the whole world in the most surprising manner! 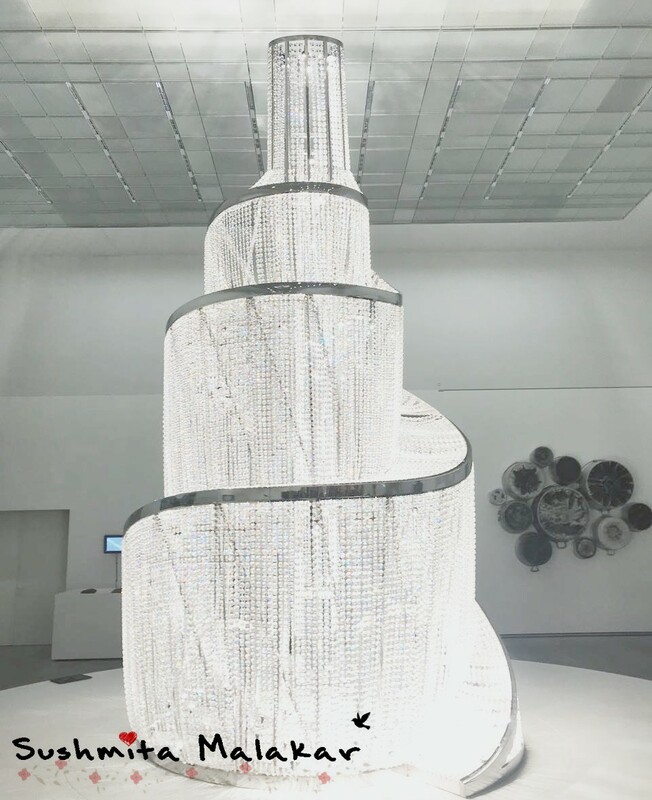 Fountain of Light - the iconic masterpiece from China. Gallery 12. Plan your visit accordingly as the museum is closed on Mondays. The ticket costs for 60 DHS (INR 1200 approx.) and there are various tours, which you can opt for. The Architecture of this place is just amazing. The roof, especially! Also, there is this wonderful Louvre Cafe which offers some great Arabic coffee and food. 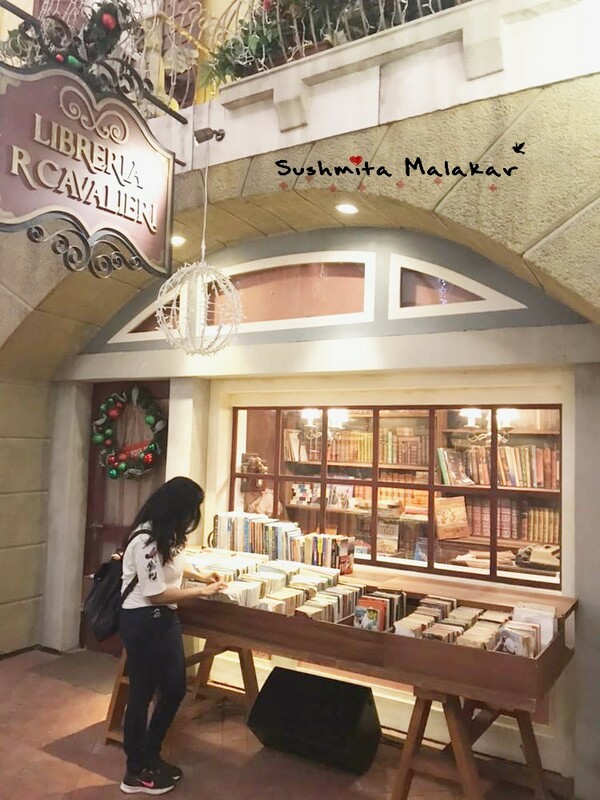 It is a great place to extend your research around the artefacts and exhibits which captured your attention! 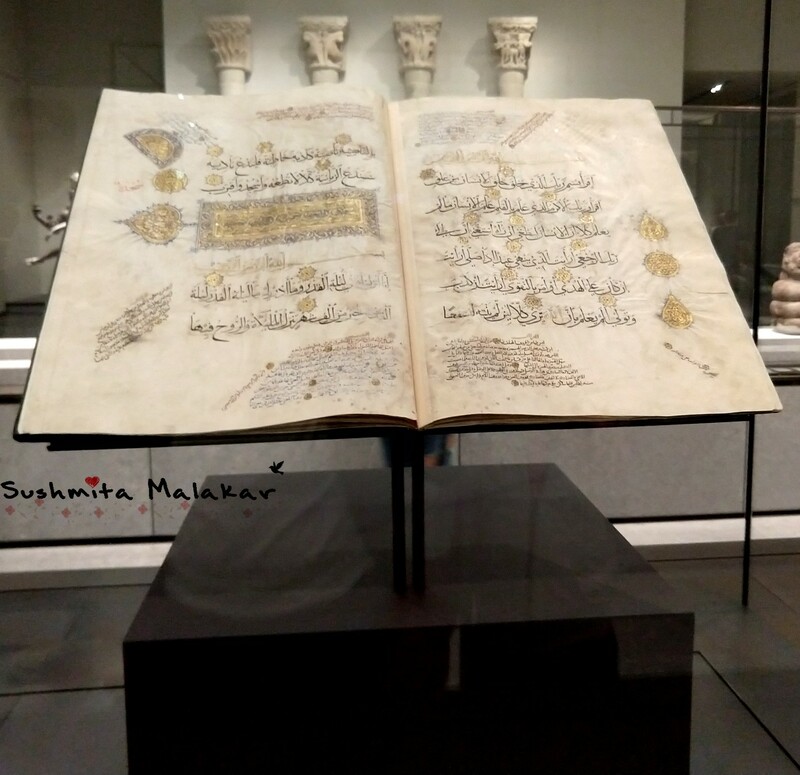 There are so many things that I have to talk about this place that I have decided to write a separate blog post for The Louvre, Abu Dhabi. For now, I think I have described it aptly. 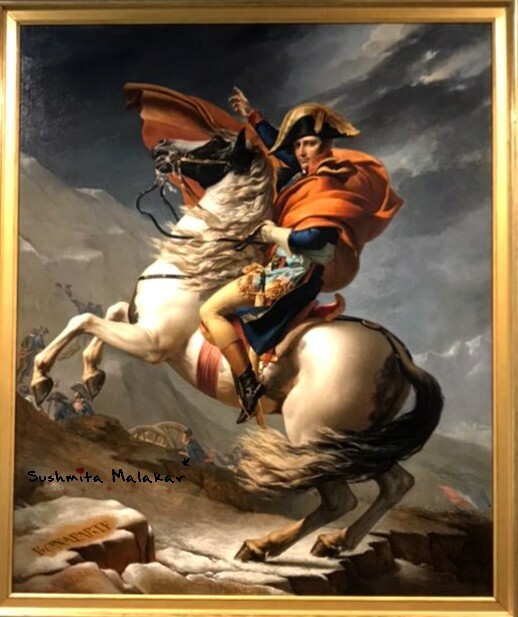 But before I stop talking about Louvre, here is the famous painting of Napolean Bonaparte - Napolean Crossing the Alps by Jacques Louis David. But yes, I have never been so amazed. 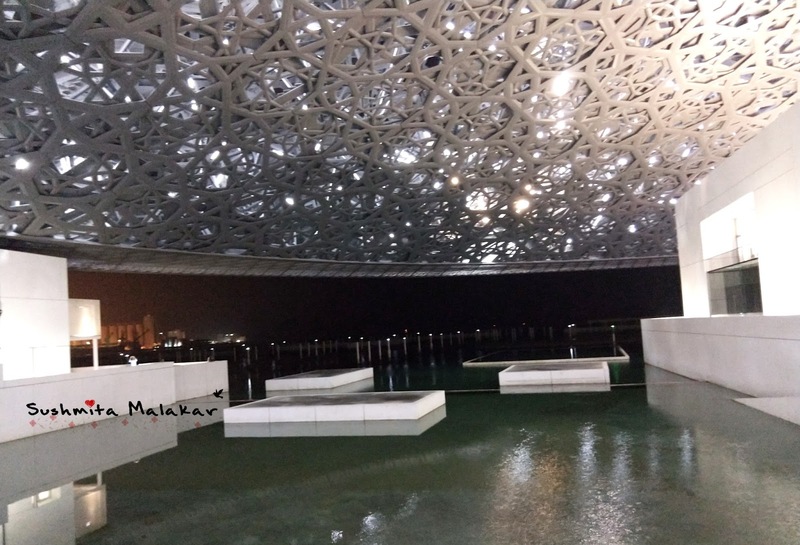 Louvre is the reason why I loved Abu Dhabi more than Dubai! 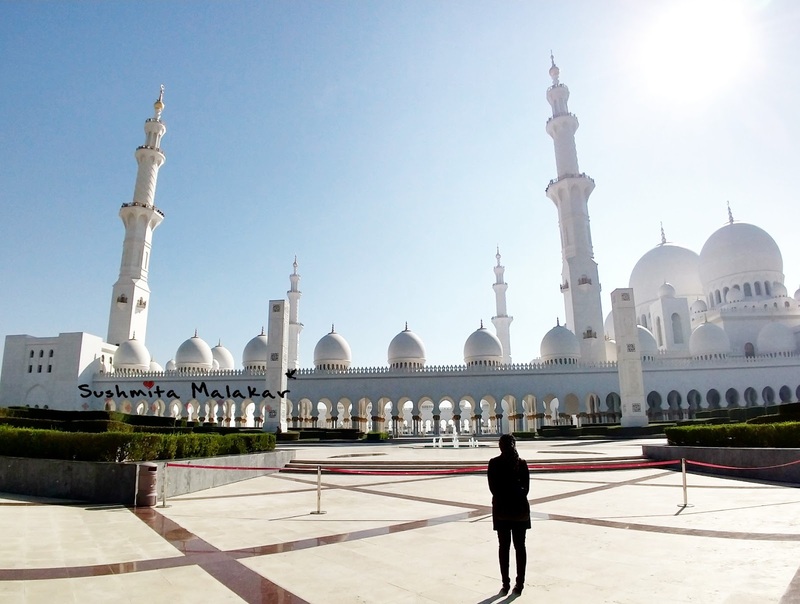 And lastly, I had the opportunity to visit one of the largest mosques in the world! And man, this is one architectural beauty! Before I talk more about it, please be sure to be fully covered when visiting here. No part of skin should be visible and skin tight clothes are a strict no-no. I was definitely amazed. The mosque is so huge that you can not capture it in a single frame. 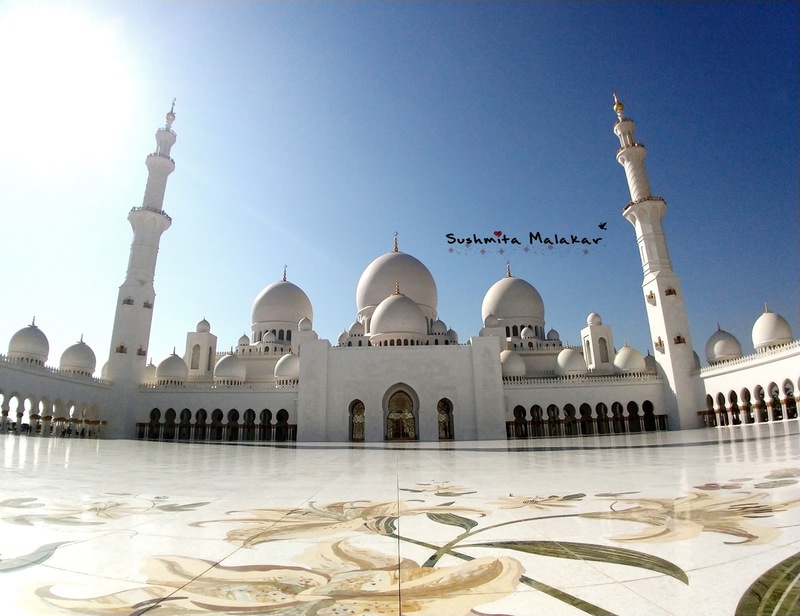 Before you proceed inside, make sure to appreciate the magnificent mosque from the outside as well! As you proceed, you will find the typical Islamic architecture at its best - repetitive and symmetric glass and marble work. 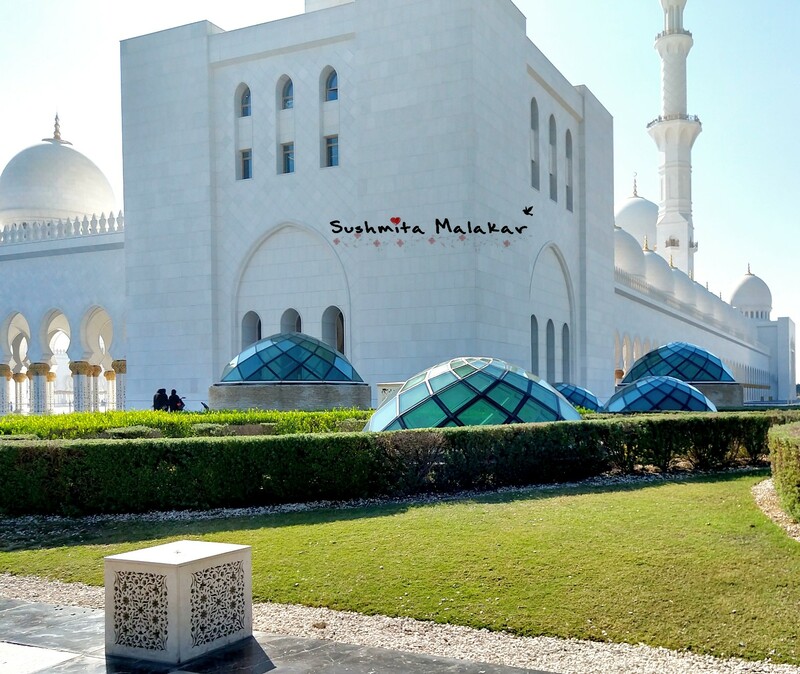 This place has 82 domes of various sizes which are pristine white in colour. The interior of the domes has traditional Moroccan design which is a sheer treat to the eyes. Everything about this mosque is just unique. Take for example the minarets. 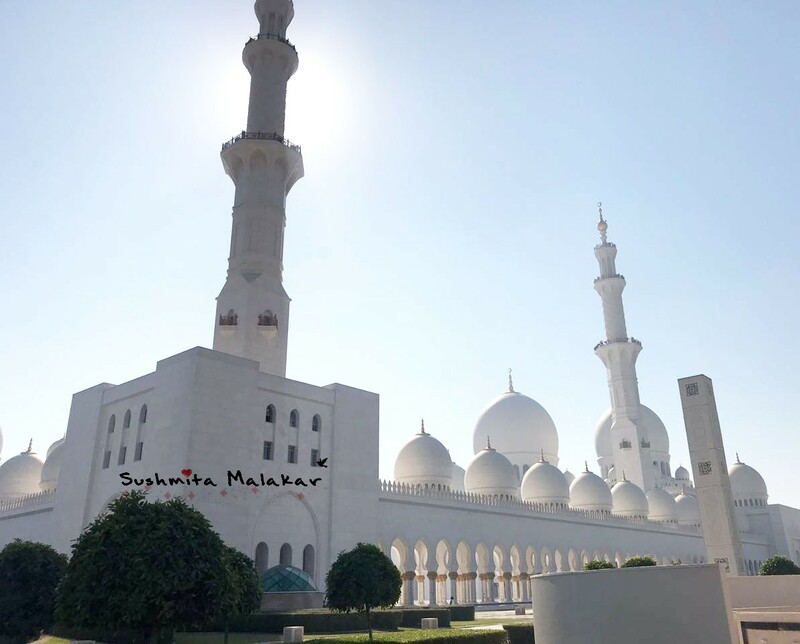 There are four minarets and are made of three different geometrical shapes - each adding its own elegance and beauty to the Mosque. The two minarets are visible from the outside. As you proceed inside, the other minarets are visible - giving a visually orgasmic view of the place altogether! 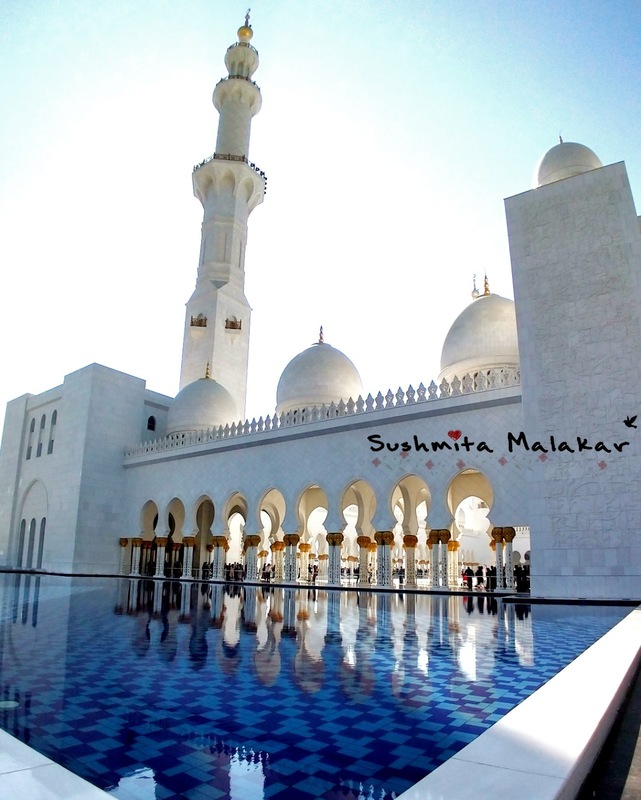 And yes, the reflective pools around the mosque is one of the best things that you will witness around here. Spectacular and serene! 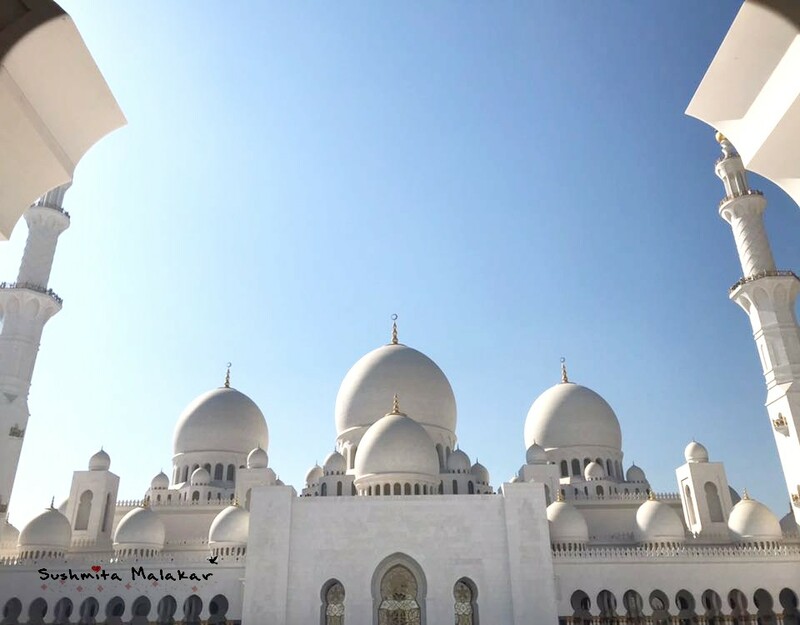 The Sheikh Zayed Mosque is a great example of typical Islamic architecture with symmetry, colours, elegance and, not to forget, majestically ornamental! Talking about the Grand Mosque would be incomplete if I don't talk about the iconic columns. There are 1096 columns in the arcade. 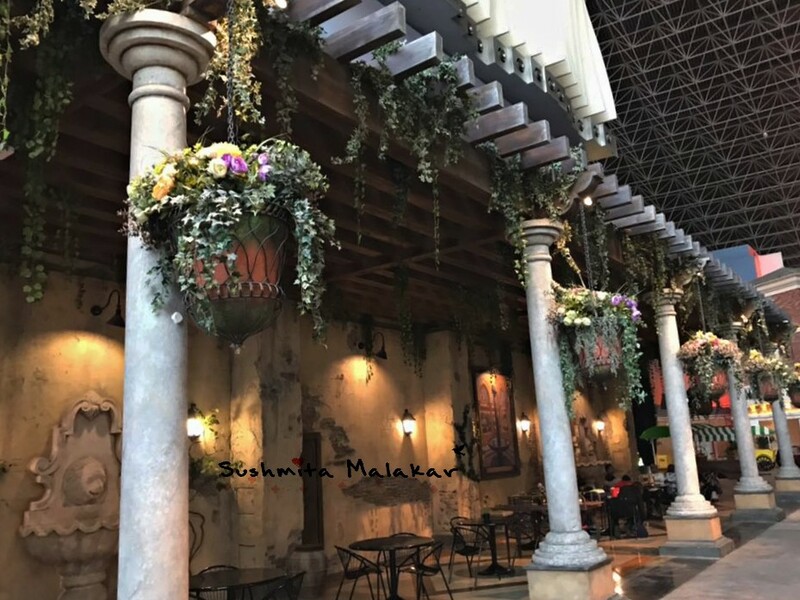 Each column is handcrafted and studded with semi-precious stones. 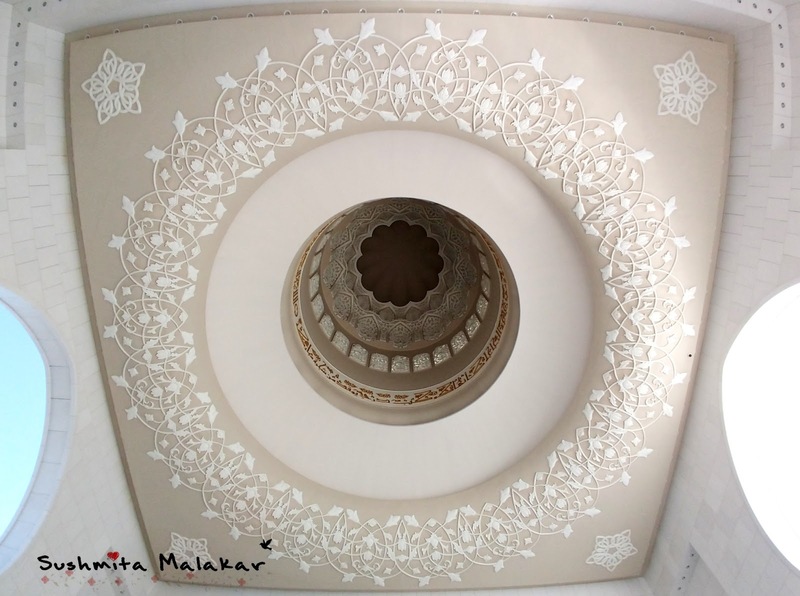 The same technique of designing is used in the exquisite Taj Mahal! And before I end the post, here is one great view of the mosque from the outside (again!). With this, my trip to Abu Dhabi ended. 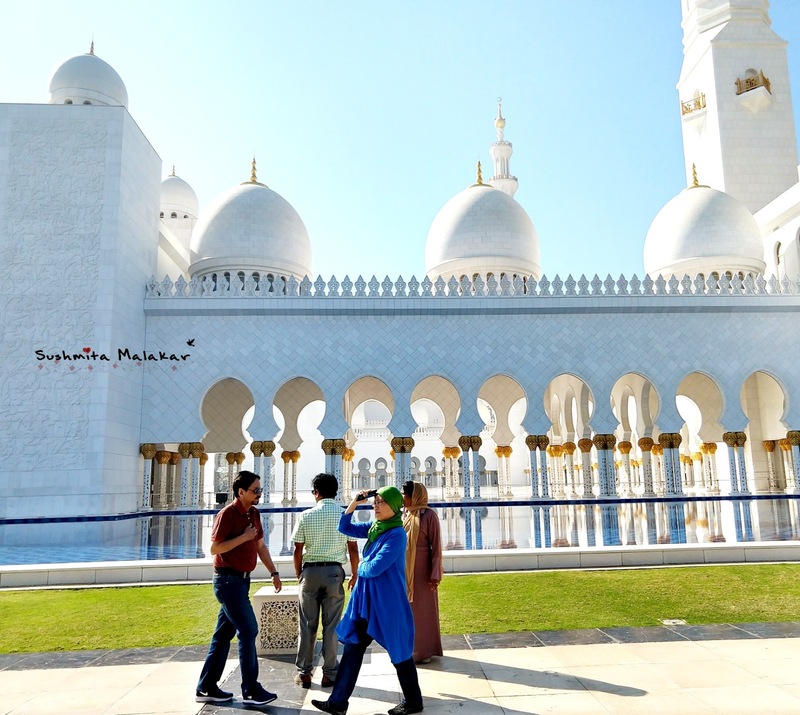 Though my holidays had just started, Abu Dhabi definitely had laid a great foundation for a great trip! My next stop was, of course, Dubai. We travelled via road to Dubai. 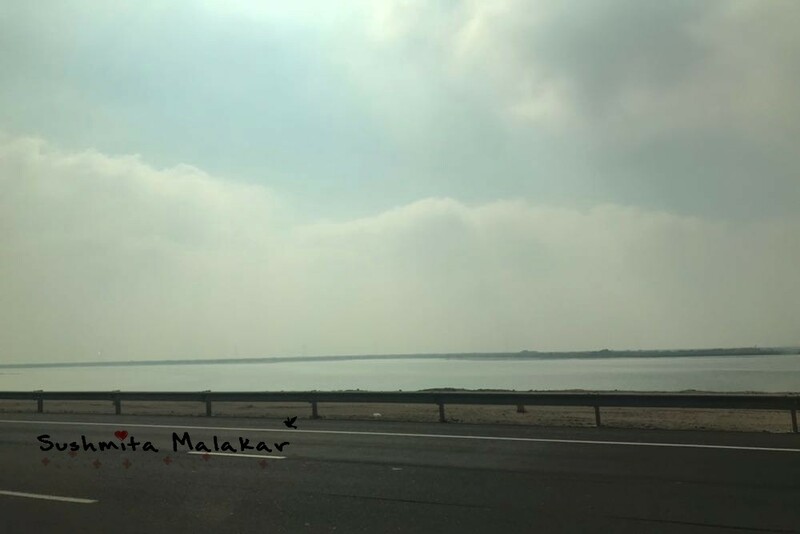 It is a good 1.5 hours drive which is smooth and not at all tiring! I will be writing about it soon! 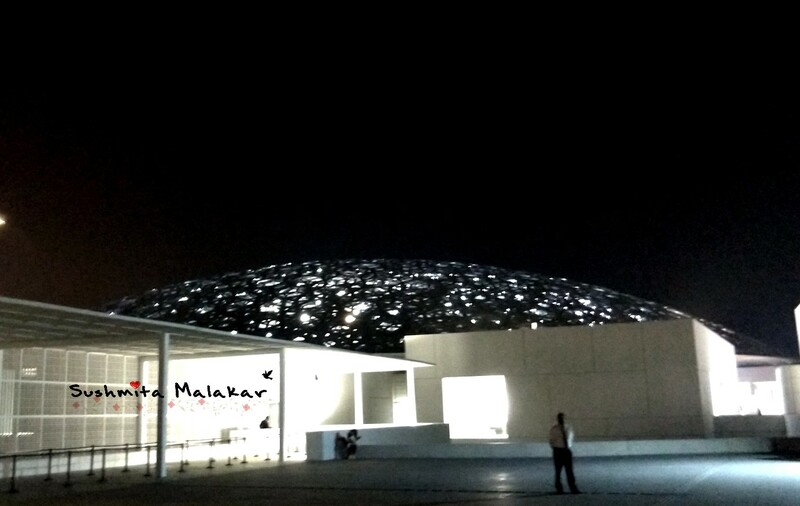 Abu Dhabi City Tour was the best tour of my life, I will never forget that trip, by the way your blog is great. 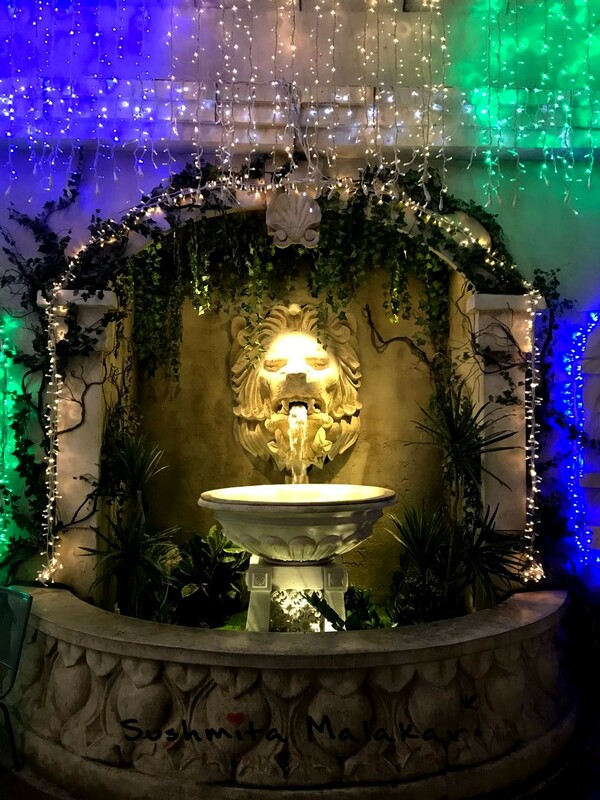 I love reading your blog, keep sharing beautiful articles. These are some really good pics. 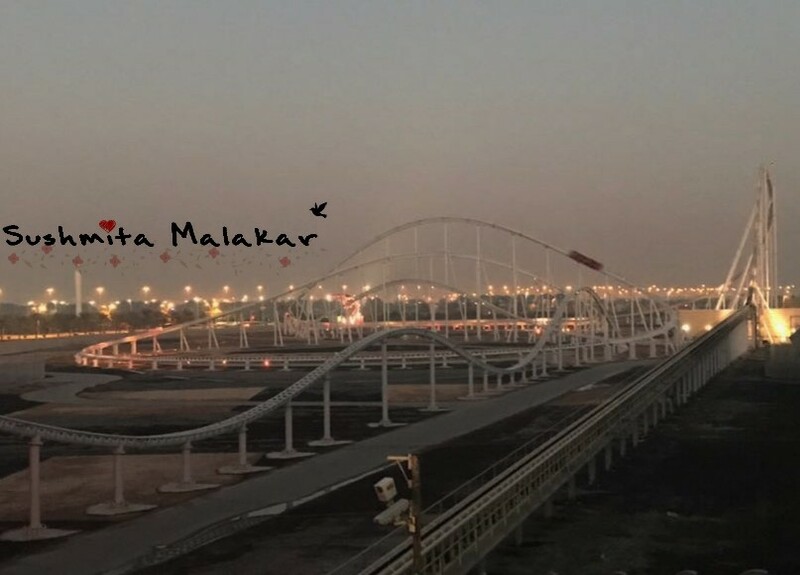 Have always thought of visiting Yas Island and seeing your experience in detail makes me want to visit this place sooner rather than later :). 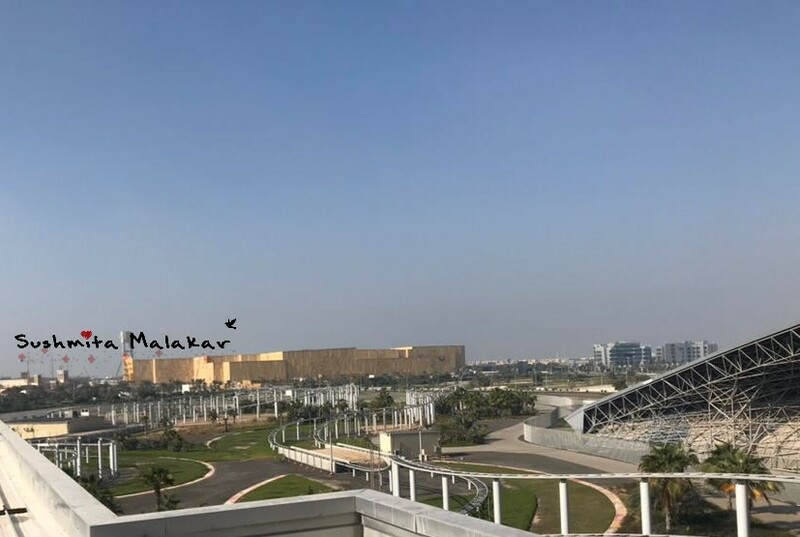 I have seen Louvre in Paris before but yeah its been more than 15 odd years since that happened ;) so I guess a revision at Abu Dhabi is required LOL! I love reading the blogs on this platform as they are so easy to understand very informative. Great work! 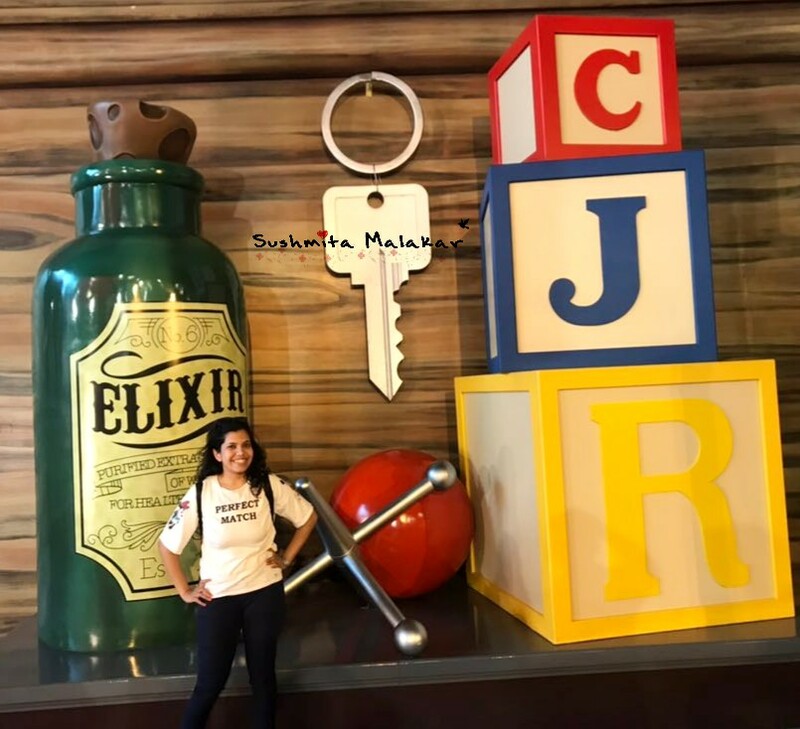 There are more best places to visit in Dubai, so don't wait and book your Dubai Visa now and get ready to explore its amazing places.